Only 300 metres from the ski lifts at the base of Catedral Hill this mountain resort boasts an outdoor swimming pool, gym and spa facilities. It includes 3 restaurants, rustic stone and wood fireplaces and free Wi Fi in common areas. Ski transfers can be arranged for an extra fee. Rafting, trekking and horse-riding trips can be arranged in the summer. Bariloche’s picturesque main square and famous chocolate shops are a 15 minute drive from the hotel. 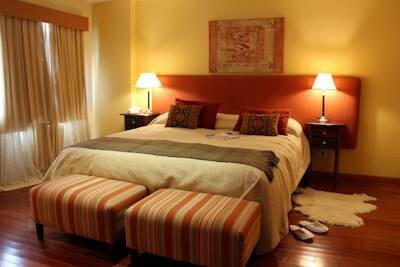 Rooms feature flat screen cable TVs, carpeted floors and private bathrooms with showers. Apartments also have fully furnished kitchens with dining areas. All of them have free WiFi access. El Balcon Restaurant offers Patagonian flavours with views of Catedral Mountain and Nahuel Huapi Lake. Room service is available. During the summer months, a Continental breakfast is provided. 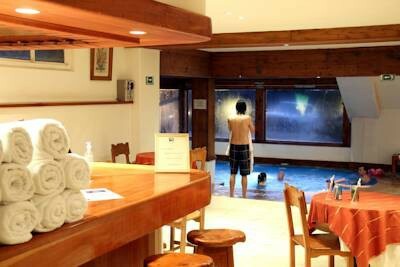 Catedral Hotel is 38 km from Bariloche Airport. Car rental services can be arranged through the tour desk. Free private parking is available on site.